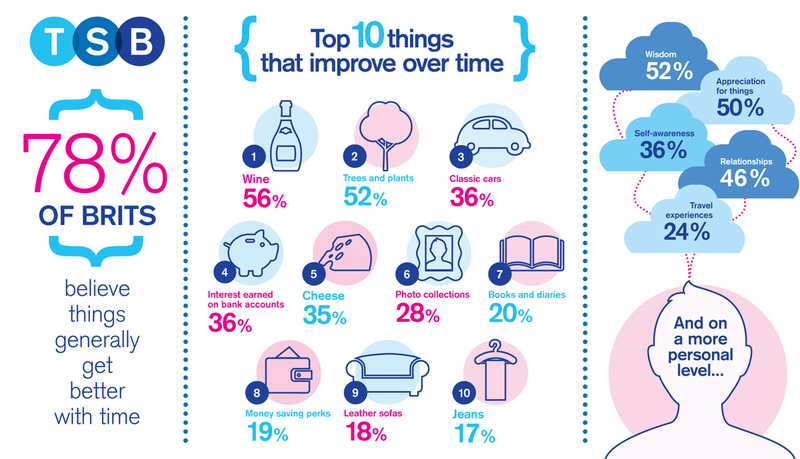 The TSB Plus Account has just turned one year old, and because the maximum interest that you can earn in a year from this account is £100 (5% AER on up to £2000), I've been asked to think about what I would do with a spare £100. I'm not very good at spending extra money that I receive on myself, it usually just ends up in the joint bank account or goes towards the mortgage. It would be lovely to have some money that I could spend on something that's not normally in the budget. Follow Jennifer Jain's board Summerhouse inspiration on Pinterest. Many of these are way out of my budget, but there are a few elements that I think I could incorporate. I'd probably spend a good chunk of the money on some paint, or at least some kind of protective sealant for the walls and decking area to make it look a little smarter. The old pots that are outside could really do with updating, I'd love to have some bright, colourful planters filled with flowers in all different colours. I think it could also do with some outdoor decoration, in particular I'm thinking some bunting strung up across the front, bird feeders and perhaps a windchime. Inside it is already looking quite colourful, but what it really needs are some soft furnishings to make it a little more cosy. I'd buy some pretty gingham fabric to make little curtains for the windows, and maybe a matching cushion for an armchair. Talking of furniture, a little bookcase would be lovely, along with some sort of small table to hold a drink and some snacks. The floor is currently covered with an offcut of carpet, but I'd love to have some decent flooring in there, and maybe a pretty mat or a rug. Or perhaps even some artificial grass, for when it's too wet to sit on the grass outside! For a good while now, our life has been divided into 'before the Marathon' and 'after the Marathon'. Ram found out last September that he'd received a place via the ballot after several unsuccessful applications. We were off on holiday immediately after, so he began his proper training in November. It was quite a steep learning curve, with lots of new running gear and equipment to be purchased, not to mention all the different tablets and gels that were required for training and on the day. Ram stayed up in London the night before the marathon, and I stayed at my parent's house in Horsham overnight, coming up child-free on the Sunday to support him. I spent weeks worrying about it, desperate to find somewhere that I could stand to catch a glimpse of him but anxious about large crowds, and potentially spending the day chasing after him only to miss him at each point. Luckily with some help from online friends I was able to put together a provisional route that I was happy with, and Ram's sister and her partner came down for the day too, which made it all a lot easier. I began the day in Rotherhithe just before mile 9, a short walk from Canada Water station. It was quiet when I arrived and I found a spot at the front, although it soon filled up with people. I was in time to see the men's elite runners, followed soon after by the fastest runners from the mass start, including Paula Radcliffe and Jenson Button. I knew that it would be a while before Ram made it to me, but I was still obsessively tracking him via his phone (unfortunately the official London Marathon app wasn't working for me all day!). Luckily the crowds had thinned out a bit by the time he appeared, as I was getting dizzy watching all the runners go by! It was great to see him and he seemed to be doing really well! Then we cut across to the mile 11 point, again busy but getting quieter, and we made it to the front as other people saw their runners go by and moved away, and we were able to catch a glimpse of him. Then our plan was to head to Canary Wharf, but announcements at Canada Water were warning about large crowds and I was worried about being stuck across the river, so instead we headed to Shadwell, where the route doubles back on itself for quite a while. We just missed Ram at the halfway point, and as he headed to Canary Wharf himself I lost contact with him as his phone battery died. We realised we wouldn't see him again for a little while, so headed off to find some lunch. It was a bit more difficult to work out where he would next, so we walked down the route from Shadwell towards Tower Hill, finding ourselves a spot around the 23 mile mark with a nice view over to the Tower of London. We were here quite a while, desperately looking out for distinctive runners that we recognised and hoping that he'd be along soon. Fortunately we managed to spot him, although he was so absorbed in the run that he nearly missed us! I wasn't able to grab a photo of him as we were too busy yelling at him so that he saw us, but it was lovely place to stand and watch! The runners were looking pretty tired by this point but the crowd was really cheering them on, most of the runners had their names across their tops so you could cheer them individually. Ram was looking tired too but running well, and I knew that he'd make it. We walked all the way from mile 23 to St James's Park, following the marathon route as far as we could. Many of the runners were walking at this point and the crowds had really thinned out along the barriers as people headed for the finish. We ended up having to walk round a little further than we expected, and arrived at our meeting point at almost the same time as Ram. He was looking good, and was completely buzzing. We found out later that his official time was 5hrs 30mins which he's really pleased with, and he managed to keep running throughout for all that time, amazing! We headed straight back to my parents, stopping on the way for a quick takeaway pizza, collected the children who had been brilliantly looked after by my Mum for the day, then drove home. It was a fantastic day, albeit it tiring not just for the runner (us supporters walked over 12km during the day without much to eat or drink!) and it's a big relief to have it successfully out of the way, I feel that we can get back to normal life now! We are all very proud of him! For the last couple of weeks, Mia has been reviewing the Disney Cinderella Junior ReadyBed , an all in one sleeping bag and bed for young children. I can't quite describe just how thrilled Mia was when she opened the box. Like many little girls she adores the Disney princesses, and she loves sleepovers, whether in Harry's room or when we visit family. She also has a slight obsession with tucking her dollies and teddies up in bed, and we have a huge collection of little blankets and pillows for them scattered throughout the house. When we explained to her that this ReadyBed was her own little bed that she could take anywhere with her, she was so excited and couldn't wait to pump it up and organise a sleepover in Harry's room that night. Throughout the afternoon she was having a lovely time reading her dolly a story and tucking her up in the bed, and when bedtime came she jumped straight in and went to bed with a great deal less of the usual fuss! The ReadyBed has its own little pump, which is very handy and fits neatly inside the bag when packed away. It only takes a few minutes to blow up the bed. The bed comes with a built in pillow which seemed pretty comfortable although Mia did like using her own pillow with the bed. The entire bed folds away neatly into the integrated carry case, and the built in cover can be easily removed for washing, very important for those younger toddlers that can't quite be trusted overnight! I know that we are going to find the ReadyBed very useful when we go visiting family overnight. We'll be spending a night at my Mum's this weekend, and Mia is adamant that she's going to be sleeping in her 'Princess bed'. It doesn't take up too much space to pack, or too much room on the floor once it's out. I'm also thinking that it's going to be useful for her if we manage to spend a night or two in a tent in the garden this summer. The cover is a little thin, so it would probably need an extra blanket if it was going to be used outdoors in a tent. I can see that over the school holidays the ReadyBed is going to become a permanent fixture in Harry's room, as both children love having 'sleepovers'! Mia's sleepover in Harry's room was very successful and she had a lovely night's sleep all tucked up with her teddies. When she's a bit bigger and perhaps having a sleepover by herself at a friend's house, it will be a nice familiar bed that she can take along with her. The ReadyBed Junior is suitable for children aged 3+, and I can see that Mia will definitely still be using it in a few years time - Harry at 6 easily fits in. The Disney Cinderella Junior ReadyBed is new for 2015 along with a Star Wars Junior ReadyBed, and additionally there are lots of other ReadyBeds available featuring different characters and designs, as well as different sizes to suit children of all ages. The Cinderella Junior ReadyBed has an RRP of £29.99 and is available at Tesco Direct and Asda. We received a ReadyBed in exchange for this review. Amazon link is affiliate. Every year, around about this time, I excitedly publish a post detailing my grand garden plans for the summer. In fact I've already started this year, with a post about the work that I've done to our summer house. The trouble is that I do struggle a bit in the garden, the children aren't particularly interested in helping me and they aren't always the best at occupying themselves while I get on with things. It's much easier now that I can trust them enough to turn my back on them for a few minutes at a time, but I still find it difficult to carve out a decent amount of time to get something done. But since the weather has been so lovely for the last week or two and we've been out in the garden (we've even enjoyed our few barbecues of the year!) it's been impossible to ignore, so over the weekend I announced that I was going to get it weeded. It was hard work, we had grown some pretty impressive weeds and there was a big patch of nettles by the fence that come through from the green space beyond. There is still more to do, like taming the large climbing plant gradually coming over from next door that I need to prevent from swallowing up the garage, and the planters still need a bit of work. I'm pretty chuffed with what I managed to get done though, and I only had to stop because our green bin was stuffed full, along with extra waiting in bags to go out over the next few weeks. Every year I usually manage to grow some tomatoes, and this year Harry was desperate to get started with planting, especially after I printed him out this fab Planting Tomato Seeds Fact Sheet (Twinkl subscriber resource) from Twinkl. I had some ancient tomato seeds which we planted together over Easter with our fingers firmly crossed, and although they took a while to get going it looks as though we'll have a few plants to pot out soon. I usually have some success with spinach and carrots, and my Dad has some other vegetable plants for me too. 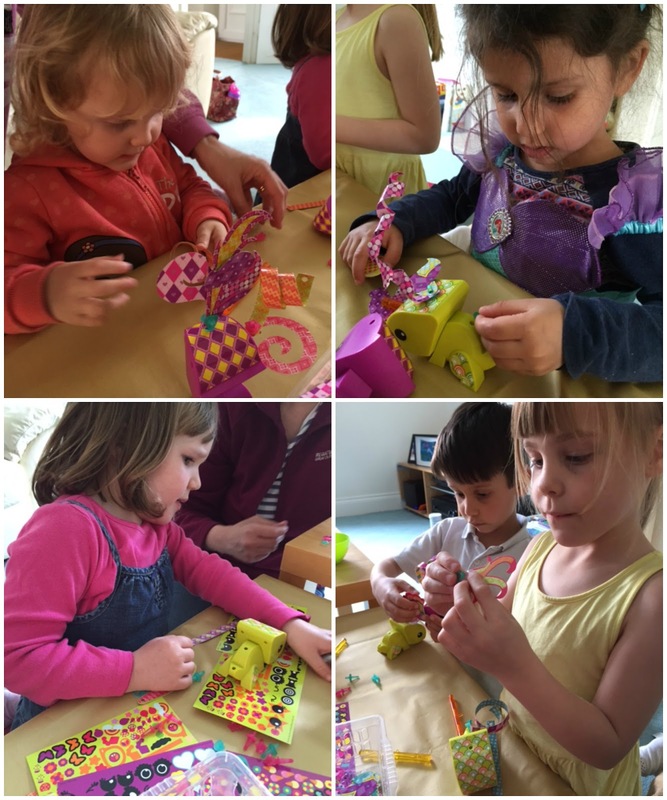 Recently I was invited to host an AmiGami craft party for my children and some of their friends. AmiGami is a brand new crafting toy aimed at children aged 6+. 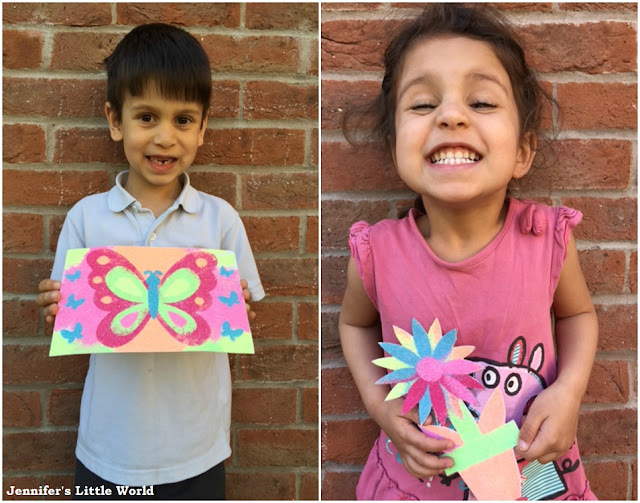 Children can use a selection of printed papers and stickers to customise their own AmiGami creature, with a multitude of different ways that they can use the materials to let their imagination run free. We were sent a selection of craft kits so that each child could create two animals - a Cat and a Chameleon. Each kit comes with a plastic animal base, some tools, instructions, pins which allow you to stick the paper pieces to the base, and a pack of stickers and paper pieces. There are lots of bits and pieces included with each kit, many more than you actually need, so there are hundreds of different ways that you can complete the kit. Although the pieces are vaguely themed to the kits (for example there is a curly tail for the Chameleon and fish for the Cat) they are all interchangeable, so if you have several different sets you can mix and match. The kits are also reusable, as you can easily remove the pins and redesign your animal, and they contain everything that you need, with no glue required. All the individual pieces first need to be pressed out from their sheets. It's easy and doesn't take long, but because we had quite a lot to do my children and I prepared it all in advance to save time on the day. The shapes and pegs got mixed up between the two different animals, but that didn't matter, it just meant that the children had more options for making their creatures. I had a go at making a Cat in advance which was a good move, as I was able to give the children a quick intro and explain what to do before leaving them to see how they got on. The kits are aimed at children aged 6+, but several of the guests at our party were younger. This wasn't a problem though, we found that the 6 year olds could easily be left alone to complete the craft, and even though the younger ones did need a little bit of help they still really enjoyed it and became engrossed in what they were doing. Fortunately I had also invited some crafty Mums that were happy to help them out! To make the AmiGami animal you press pegs into the holes on the base and add the patterned cut out shapes to create the embellishments. You can use the special tool to wrap long strips of paper up into spirals, add the cut out shapes to make wings and tails, and there are plenty of sweet little stickers which you can use to decorate too. The stickers can be reused up to three times, so children don't need to worry if they make a mistake when placing them. And here are all our finished creatures on display, they look fantastic! I loved seeing how the children used the pieces to make the craft individual to them. It was a really fun way to spend an afternoon and a great idea for play date. 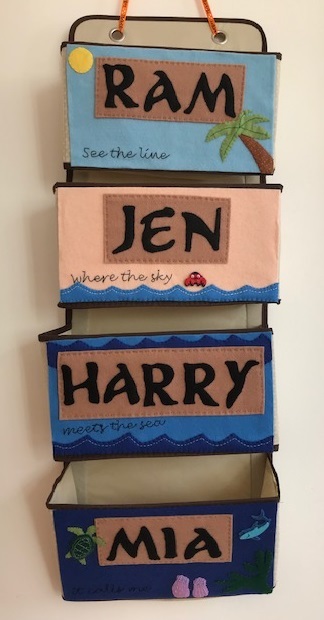 The craft kits retail at around £10 per animal so it's a rather expensive everyday play idea, but for a special occasion like a family gathering or birthday party they would be an ideal way to entertain a group of young children, and adults enjoy getting involved too! A kit would also make a great gift for a crafty child. I was sent enough craft materials to host an AmiGami party for my children and a group of their friends. I actually don't have that many unfinished craft projects, as I'm quite good about finishing things off. But there are a few projects lying around that I've started that niggle at me, as well as projects that I have all the materials for but am yet to start. Recently I listed out all these projects on a page in my Smash book, firstly so that I can keep track of them and secondly for inspiration in case I find myself with some free time and looking for something crafty to do. On our recent holiday I finished off a project which I'd been struggling with for some time, in fact it nearly ended up in the bin on a couple of occasions. It was a birdhouse kit that I bought once in Hobbycraft, I actually blogged about it once before. It was very cheap, but it turned out to be a bit of a rubbish kit. It didn't contain any of the embroidery silks, so I had to use my own for it. The pattern was impossible to read, and I did most of the design following the photograph that accompanied it. It's supposed to be a large coaster kit, but when I came to frame it the cork backing was too big and showed through the transparent sides, which made it look really messy. I managed to work something out though and I'm pretty pleased with the finished piece, it is quite pretty, and I'm glad that I stuck with it. Now I'm concentrating on another kit that I bought in the sales - a knit your own hot water bottle cover which came from The Works. I bought it mainly because it came with a mini hot water bottle, and as Mia has been eyeing up Harry's hot water bottle for some time I thought it would be nice to make for her. It's supposed to be red and green with a festive crochet snowflake, but I've changed it to red and purple and I'm intending to decorate it with a felt heart (crochet and I don't get along). I'm not very good at knitting, and I'm pretty terrible at following a pattern. Possibly it's just me, but the pattern included doesn't seem to make a great deal of sense so I've been fudging it a bit. I've knitted one complete side and have just started on the second side. It's quite easy to do, just the increasing and decreasing that I've made up a bit, hopefully it will be finished by next winter! Colouring books for adults are very popular at the moment. I blogged recently about my first foray into the world of adult colouring, and recently I was asked to try out some colouring books from a new Dutch series which will be available in the UK from next month. The One and Only Colouring Book series is aimed at adults and older children. I've been looking at two books in the series - The One and Only Colouring Book for Grown-Up Children and The One And Only Colouring Book For Adults (affiliate links) . Both books are quite similar, and contain a good mix of different designs. There are geometrical and repeating patterns alongside more fluid designs. Some pages have a natural theme, some are more abstract. There are also some lovely pages inspired by different architecture, with designs that range from very simple to beautifully complex. Each book has so many pages that it's really easy to flip through and find something that inspires you and matches your mood. Some of the designs are really simple, like a repeating heart pattern, great for when you're after something simple to keep you busy and not requiring too much concentration. 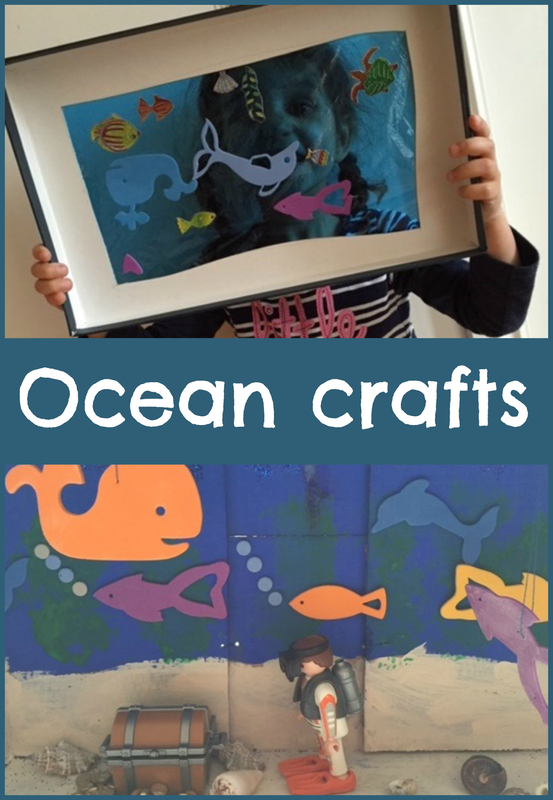 Other pages are based around easily recognisable images, like some fish and other sea creatures which make up a lovely underwater scene. All the designs encourage you to think about the colour scheme that you want to use, and whether you want to stick to a limited palette or go wild with different colours. My only problem was deciding where to start! The first design that I chose was a simple one, and reminded me of gemstones and feathers. I've been using felt tip pens to colour with and they are colouring smoothly, the pages of the book are nice and thick. The designs have bold lines which makes them easy to colour neatly. The pages aren't designed to be removed from the book once completed (although you could if you wanted to without any trouble) but I can't wait to flip through the book once I've finished a few pages and see it come to life! I received two titles in the series for the purpose of this review. The pages in this post are all from The One and Only Colouring Book for Grown Up Children. Post contains Amazon affiliate links. Before Harry started school we had several happy family holidays at Center Parcs in Elveden and Longleat. We took advantage of term time reductions, and enjoyed a reasonably priced short break. But when we came to investigate the school holiday prices we found that the prices for a holiday at one of the UK parks were far too high. But to our surprise, we found that the prices for a break at one of the Center Parcs resorts on the continent were a good deal cheaper, and also seemed to offer a lot more for your money. So we took a chance, stretched our wings, and booked ourselves a week at Center Parcs Erperheide in Belgium, and we are so glad that we did. Because we visited over the Easter bank holidays, the break was extended to an 8 night trip. We travelled to France through the Channel Tunnel (a cost that we were able to cover with our Tesco Clubcard vouchers) and then from Calais the park was about two and a half hours drive away through France and Belgium. In terms of petrol, it didn't cost us that much more than a trip to Elveden. We paid a small amount extra to stay in a VIP cottage. It wasn't huge, but it had a few extras that made our stay a little easier. For example, all bedlinen and towels were included, as well as a kitchen and toiletries package, free WiFi and a big bag of fresh rolls which were delivered daily to the cottage. The two bedroom villa also had a sauna, and a small kitchen with a dishwasher (although no oven, just a hob and microwave). There was a lovely, private outdoor area with barbecue and sun loungers, although it was a bit cold for that when we visited! Despite visiting during the Easter holidays, we found that the park was much quieter than we've experienced in the UK parks. And what really set Center Parcs Erperheide apart from the UK parks was the huge amount that there was for the children to do, all included in the price of our holiday. Aqua Mundo is the swimming area, comparable to those that we've found in other Center Parcs resorts, possibly slightly larger. It has the usual central pool with an hourly wave machine, which is connected to a series of small, warmer pools linked together by shallow rocky waterfalls. There is a baby pool with small slides, and a toddler pool with slightly larger slides. There are longer water slides and an outdoor rapids slide, a large outdoor pool and a lazy river. There was also a pretty cool themed outdoor area where you could dive under the water to see fish in tanks swimming alongside you. Then there was Baluba, where we spent a great deal of time, and it was awesome. It is a huge building, filled mainly with a large soft play slide area and an enclosed foam ball play area. There is another soft play area on the other side, and around the edges are a bouncy castle, trampolines, enormous Lego play area filled with different sized bricks and an indoor race track with little cars that you can drive around for €1. In Baluba was a cafe for drinks and food, and then a small stage where mainly free kids activities took place most days, like the disco, crafts and storytelling. Twice a week there was also a late night show called Straordinario. It was on quite late for our little ones so we only lasted for the first half (the entire show finished around 10pm) but it was quite entertaining, if a little surreal. The children's daytime entertainment was hosted by a character called Orry and his three friends, and they were often seen driving about in their Orry Mobiel car, it was a really good way to tie all the children's fun together. There was plenty to do outdoors too. The children loved the Children's Farm, which was full of baby lambs and goats, as well as rabbits, guinea pigs and ponies. There were plenty of ducks to feed, and lots of outdoor playgrounds, some in the centre and some spread around the park. As well as all the free activities, we found that the extra activities were very reasonably priced. We've never paid for any extras on our UK breaks as they can be so expensive. But at Erperheide our booking included four 'Toppings' vouchers which you can use towards various extra activities on your stay. We used one voucher to secure a particular villa number, two vouchers to pay for an hour of bowling for the family and one voucher for the children to play mini golf. 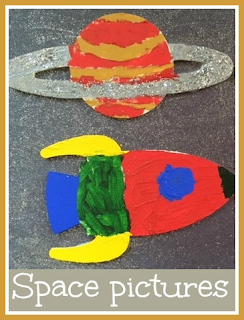 There were lots of little craft activities that the children could do, and you paid for them as you did them without needing to book in advance. We paid €2.50 each for the children to decorate a light up stick for the kids disco which they loved. We also treated the children to an Easter Egg hunt for €5 each which they really loved and they came back with more than €5 worth of chocolate each! The only other activity that we paid for was the Kid Safari. For €12 Harry was able to drive Mia around in a little jeep for half an hour, it took him a while to work it out but it was pretty fun! Just down the road in Peer is a large Lidl which is easy to spot. Although we took most of our food with us, it was useful for the extras as well as for stocking up on some local favourites like big bags of Belgian waffles! There's a string of other supermarkets and fresh fruit and veg shops in Peer too, and the shop on site at Center Parcs itself is very good and reasonably priced. We mainly self-catered in our cottage. Erperheide doesn't have the wide range of chain restaurants that we've found in UK parks and the restaurant selection was mainly based around all you can eat buffet style dining, which doesn't really suit us as our children are fussy and don't eat a lot. We did eat a couple of times in the Grand Cafe which offered a range of reasonably priced food and drinks in a pleasant setting along with a couple of play areas for the children. Belgium has three official languages - Dutch, French and German - and all the important information was given in these three languages as well as English. The Orry kids show was in Dutch and the story time was in Dutch and German, but this didn't seem to bother the children. I do speak German and can understand some Dutch so I was able to translate, but I don't think you'd find it a problem if you couldn't, and all the staff and entertainers knew English. We had such a brilliant time and would absolutely recommend a holiday in Center Parcs Erperheide, whether you are a Center Parcs regular or not. If you have any questions please do feel free to ask in the comments, I'm very happy to help! And finally I've also written a blog post with lots of tips and advice for visitors from the UK that are interested in staying at a Center Parcs in Belgium. We paid €680 (approx. £490) for an 8 night stay in a VIP Cottage at Center Parcs Erperheide. The full price for the Channel Tunnel was £146 return, which we paid for at a third of the price using our Tesco Clubcard vouchers. As a comparison, a similar villa for the four of us at Center Parcs Elveden that week would have cost us over £2000, without the many extras that we feel Erperheide offers. I'm linking this post up to #TimeTraveller at Mari's World and #travelwithkids at Smiles and Trials. This month, as a member of the #BostikBloggers crafting team I received a gorgeous box of crafty bits, with a theme of Ocean. 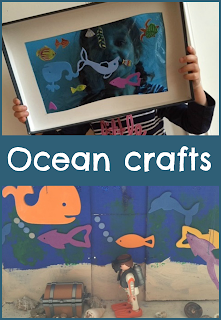 There were some really lovely bits this month, and I couldn't wait to get started with some under the sea crafts! Cut the top and side flaps off the cardboard box. Make sure that all the inside flaps are either removed or stuck down securely - we used double sided tape but I actually ended up having to sew it closed with a few stitches as the cardboard warped when it was painted. Mark out lines down the sides for the sandy section of the box, then paint blue and sand coloured. When the paint has dried, use a sponge and the green paint to make seaweed. When this layer of paint is dry, cover the inside of the box with glue and sprinkle on blue glitter. To stick the glitter we used the Bostik blu stick. We get through glue sticks at an astonishing rate, but this one was particularly good because when you first apply it the glue shows blue, then it dries clear, so you can see where you've put it. Great for crafting with little ones that tend to apply liberally, as they can see where they have already put the glue. Then you can use fish stickers to decorate the inside of the box. I also hung a couple of the large foam fish stickers from the top of the box with a length of cotton so that they can dangle inside. We finished off our under the sea scene with some shells glued to the bottom of the box, some treasure and a diver figure. Use the craft knife to cut a window out of the box lid. It doesn't matter if the sides are a bit wavy, that adds to the underwater effect! Stick a sheet of cellophane across the window and secure at the sides with tape. Stick some fish stickers over the window. Explore the house looking through the underwater viewer, making the fish swim across the furniture! The children played for ages with this, with all sorts of under the sea role play!